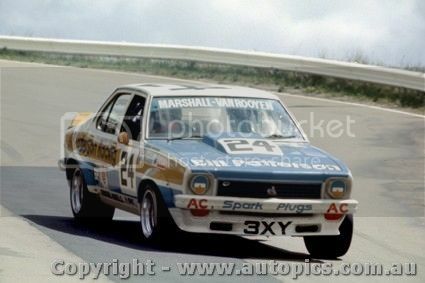 That thing is very bloody quick, but with a 308 in it its really a full size smaller than a lot of the V8 powered cars. It is quick, that's why I thought natsoft must have been correct about the 5.8 litre engine. "Modern graphics or colour schemes shall not be permitted and sponsorship signage must be at a level consistent with that experienced in the early 1970's period". If you saw the Johnson, Bowe and Richards cars at Darwin round I'm sure all would agree they did not comply with this rule. So why have such sensible rules if the leaders are going to completely ignore them? Does it mean another competitor in a plain car could protest these three and have them disqualified? Last edited by peckstar; 10 Jul 2015 at 11:34. Indeed the fella who put the signs on that car seemed to be of a similar view at the time. 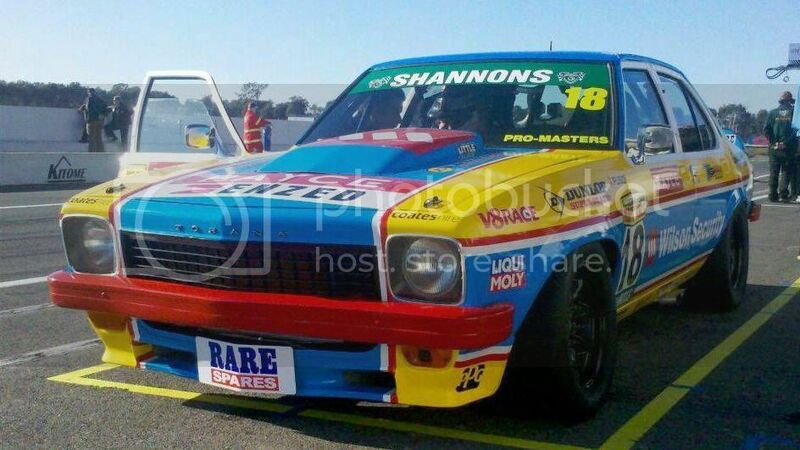 You could possibly stretch the imagination and say that Bowe's Torana graphics are similar to the Bill Pattersoncar (and to Janes L34). I dont recall seeing another AMC Javelin racing here back in the day.. I think TCM has moved on a bit since those initial guidelines.. This rule is NOT "initial guidelines"
It is actually in Appendix A of their current "Sporting and Technical Regulations". So why is it not controlled? AMC Javelins racing in period in the USA regularly had vertically split paint schemes. It seems the comments on graphics are superfluous as we unfortunately were looking at the out dated regulations. The regulations on the TCM site are the 2014 regulations. They just haven't bothered to update them for the benefit of the interested. For the 2015 regulations you have to look on the CAMS site. It seems the TCM regulations could be said to be in a state of flux. There have been 3 versions so far of the 2015 regulations. So you can now have any graphics and signage that you want. Ive been wondering frm the very beginning Terry. Why are you interested in this? 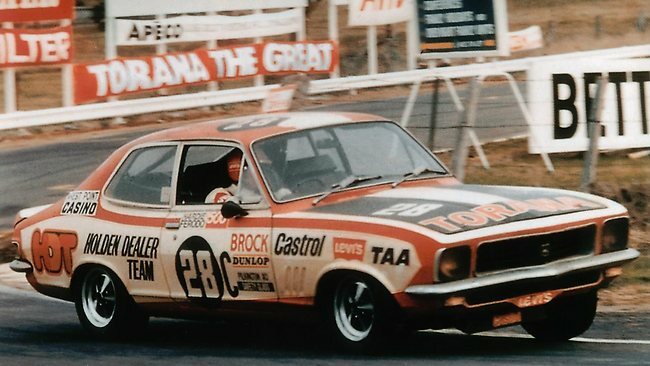 Would this have been just in time to make the said Torana legal? Included in the changes from 2014 were the elimination of nearly all of the first five lines of Appendix A which covered the graphics and signage regulations.